Frontier's return was announced at a press conference at Central Illinois Regional Airport in Bloomington on Tuesday, June 19, 2018. A jetliner waiting for passengers at a gate on the A Concourse of Denver International Airport in Denver. 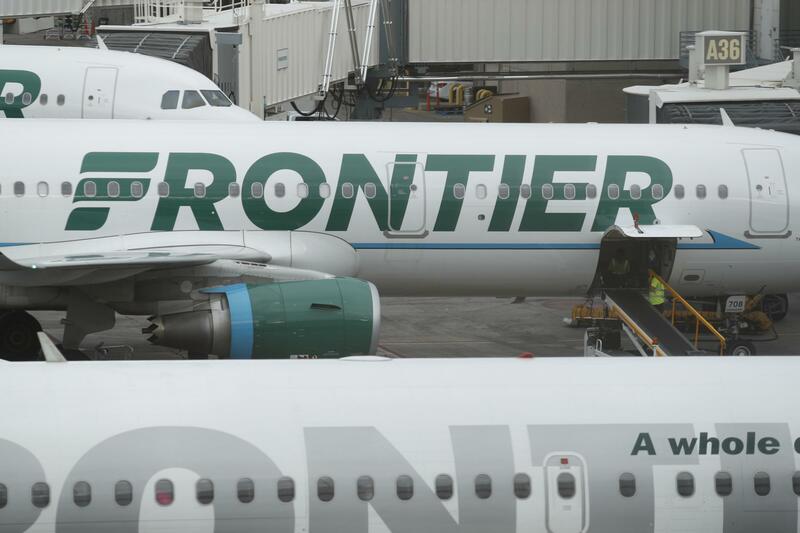 Frontier's return was announced at a press conference Tuesday at the airport. 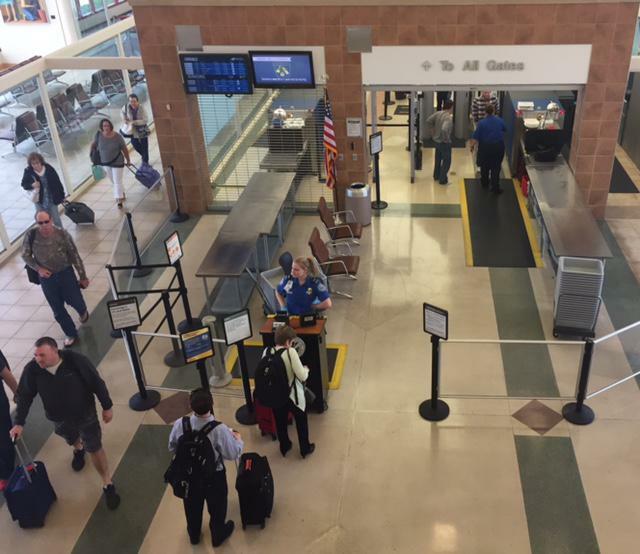 Frontier will begin flying out of CIRA on Sept. 24, with nonstop flights to Denver and Orlando. The airline will offer $39 introductory one-way fares. Frontier previously offered service at CIRA, but that ended in 2015. 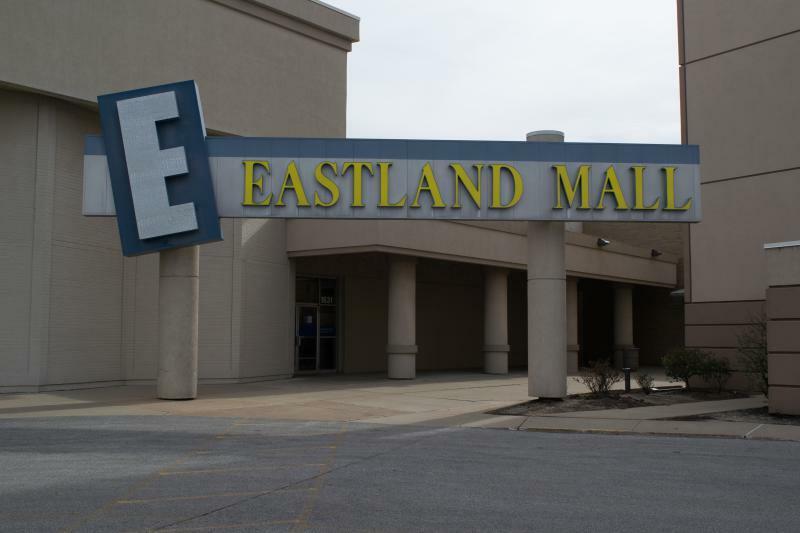 "We were here before, and we had great connectivity to this community before in the previous incarnation of Frontier," said Jonathan Freed, Frontier's corporate communications director. "It's gone through a restructuring and a reimagining and now we are a low-fares done right, ultra low cost carrier." With Frontier's new model, Freed explained that the customer chooses how much they want to spend on their air travel. Like other budget airlines, carry on and checked bags come at an additional cost. If a customer only needs a small bag that fits under the seat, the price remains at base level. 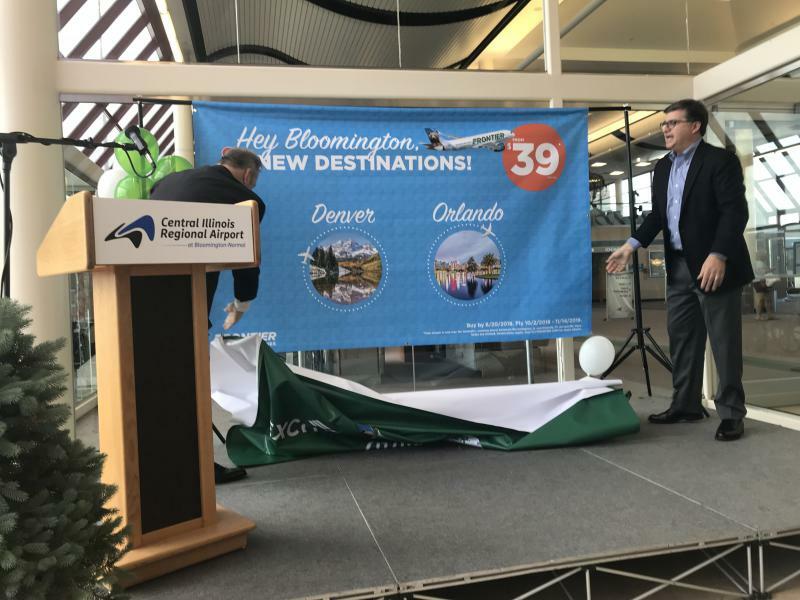 "We are elated to have Frontier Airlines return to Central Illinois Regional Airport with 'low fares done right' to Denver and Orlando International," Bloomington-Normal Airport Authority Chairman Jay Allen said in a statement. 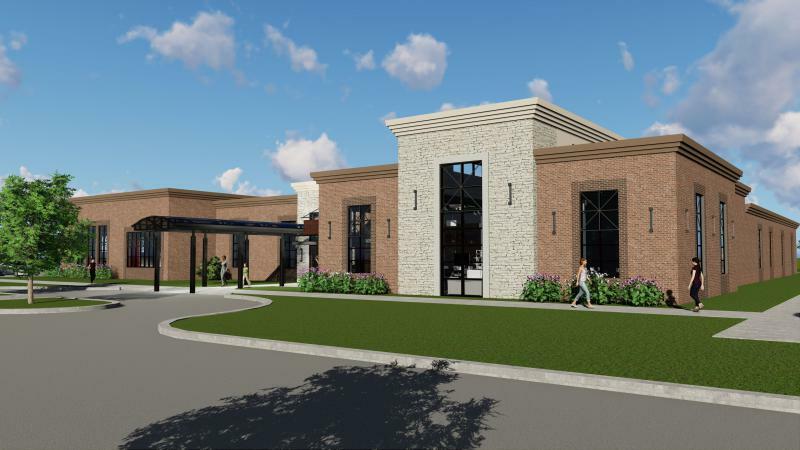 "New nonstop, low-fare service to two favorite destinations is great news for all central Illinois travelers, and we thank Frontier for their partnership and commitment to serving the region from CIRA." Up to now, CIRA’s three airlines were Allegiant, American Airlines, and Delta, with service to Orlando and St. Petersburg-Clearwater, Chicago O’Hare, Dallas Fort-Worth, Atlanta, and Minneapolis. Freed added that if Frontier sees a demand for more flight options at CIRA, there is possibility for future growth to additional destinations. "The fuller our planes are, the more pressure that puts on us and the more it gets our attention to think, 'Hey, Central Illinois is really responding. Where else can we fly?'" Freed said. CIRA saw overall passenger traffic decline 12.4 percent in 2017, with 381,109 passengers flying in and out of the airport. Airport leaders pointed to softness in business travel and airline consolidation as ongoing pressures. Carl Olson, executive director of CIRA, is confident that with the addition of Frontier, passenger traffic will go up. "Anything that increases capacity or the number of seats available is good because it offers a higher number of low fares, which helps attract passengers to CIRA," Olson said.